Located twenty degrees north of the equator in the center of the Pacific Ocean, Hawaii is the most geographically-isolated place in the world. It is more than two thousand, five hundred miles from the nearest major landmass and was one of the last places on earth to be discovered and populated. At a time when Europeans cleaved close to their coasts for fear of falling off the edge of the world and being gobbled up by sea monsters, Polynesians were crisscrossing the Pacific on epic voyages of discovery and colonization. The Polynesians came to Hawaii in two waves, the first from the Marquesas Â approximately 500 AD, the second from Tahiti a thousand years later. For a time, there were voyages back-and-forth over the equator. Then, the technologies and lore of open-ocean voyaging were forgotten. But not the memory of them. In the mid-1970s, a group of young native Hawaiians and maritime scholars calling themselves the Polynesian Voyaging Society revived the art. 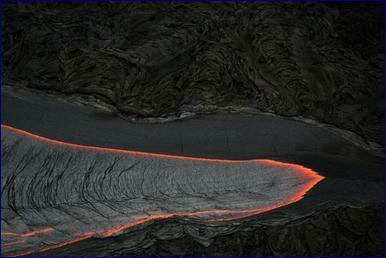 The canoe they built, the Hokuleâ€˜a, was named for the star Arcturus that passes directly over the Island of Hawai'i. Guided by illustrations from early European journals and oral information from ancient chants and legends, Hokuleâ€˜a was built using traditional materials, methods, and tools. Unfortunately, no present-day Hawaiians remembered how to navigate in the old manner. The intrepid canoe builders turned to a man named Mau Piailug, a navigator from Satawal Island in the Carolines of Micronesia. They asked him for two things: help them make the initial voyage from Hawaii to Tahiti, and teach a new generation of smart and passionate Hawaiians how to sail by the stars, swells, sun, moon, and the taste of seawater in different parts of the Pacific. More than a dozen young Hawaiians, all skilled watermen, were tutored by Mau, among them Nainoa Thompson, the man who would eventually become one of Hokuleâ€˜aâ€™s first Hawaiian navigators. Nainoa tells the story of his tutoring with Mau Piailug this way. â€œOne day after months of training, Mau asked me to join him early one morning at a place called Lanai Lookout. From that place on the eastern side of Oahu you can see at least two and sometimes even three other islands if the weather is good: Molokai, Maui, and Lanai. It is also near a channel called Kealaikahiki which means `The Road to Tahiti.â€™ Standing there in the sunrise, Mau asked me some odd questions. Hawaiian Canoe by James Webber, Artist on Captain Cookâ€™s Expedition. Credit: Wikimedia Commons. That first voyage of the Hokuleâ€˜a, along with subsequent ocean journeys to other corners of the Polynesian Triangle -- the Marquesas, New Zealand, and Easter Island -- had significant ripple effects. In fact, it put in train a â€œHawaiian Renaissance,â€� a cultural revival of dance, chant, carving, song-making, lei-making, and language study. It also launched a political movement. Influenced by the civil rights struggles of Blacks, Hispanics, and Native Americans, Hawaiians gained new confidence and pride in confronting their own disenfranchisement. Seeing the billions of dollars and forty million acres of land that had been awarded to native Alaskans, they pressed for reparations and sovereignty measures in Congress. Oceans are the primordial soup and perpetual incubators of life. Plants, animals, and ideas move around, combine, re-circulate, and ultimately splice off to create new species. Not all survive but evolution tends to produce remarkable and enduring results. Around the states and nations of the Pacific, in Polynesia, Micronesia, and Melanesia, many cultures are resurgent with pride and enthusiasm. Old languages are being revitalized, the arts are flourishing, and politics engaged in new ways. Meanwhile, like some kind of waterborne bumblebee, the Hokuleâ€˜a continues to visit the islands and atolls of the Pacific carrying scholars, school children, inter-island messages, and great hope. It is a pollinator leaving behind in its wake a future that holds more than it used to. 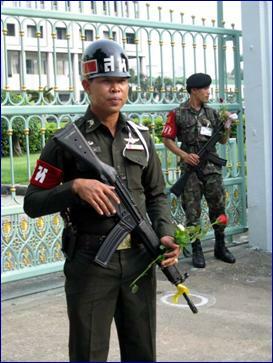 2006 Coup in Thailand. Credit: Wikimedia Commons. A high school graduate has a picture in her mind of the perfect college. The Federal Reserve dials interest rates up or down with a picture in mind of a better economy. Military leaders of a coup in Thailand announce a temporary takeover of government. Nixon, of course, had a secret plan to end the war in Vietnam that nobody understood. All strategies, visions, and goals are a response to the status quo and an attempt to hedge the future. You are either trying to accomplish something big that hasnâ€™t been done yet (a vision) or preempt or resolve something that is irritating (a problem). Planning requires strategic thinking and the great and perpetual adversaries of strategy are complexity, conflict, orthodoxy, and ego. Since we cannot fully predict the future, but can influence it, all our big ideas about the future must stay flexible, adaptive, and malleable. There is no perfect strategy, no perfect vision, and no foolproof plan. Every action we take brings blessings and misfortunes, intended and unintended outcomes, advantages and disadvantages, unique dangers, and unexpected opportunities.